The measures briefly described below are dealt with in greater detail in the Regional Overviews (see Supplementary Material). Treaties and Agreements. Hawksbills benefit globally from inclusion in CITES, the Convention on International Trade in Endangered Species of Wild Fauna and Flora (listed on Appendix I) and CMS, the Convention on Migratory Species (listed on Appendices I and II). Regional agreements also help to conserve Hawksbills and their habitats (see Regional Summaries, Appendix II). Public Awareness. Interest in Hawksbills and other species of marine turtles is at an all-time high around the world. Interest in ecotourism is growing. Capacity building. Increasing numbers of biologists and conservationists focusing on sea turtles around the world benefit hawksbills. Protected Areas. Nesting and foraging sanctuaries protect Hawksbills although effective enforcement remains an elusive goal in many. Legislation and Enforcement. Numerous countries have temporarily or permanently banned all exploitation of sea turtles and their eggs and are attempting to improve enforcement of international bans on the tortoiseshell trade. The Hawksbill has a circumglobal distribution throughout tropical and, to a lesser extent, subtropical waters of the Atlantic Ocean, Indian Ocean, and Pacific Ocean. Hawksbills are migratory and individuals undertake complex movements through geographically disparate habitats during their lifetimes. Hawksbill nesting occurs in at least 70 countries, although much of it now only at low densities. Their movements within the marine environment are less understood, but Hawksbills are believed to inhabit coastal waters in more than 108 countries (Groombridge and Luxmoore 1989, Baillie and Groombridge 1996; see Regional Overviews in Supplementary Material). Generation length is defined as the age to maturity plus one half the reproductive longevity (Pianka 1974). Hawksbills mature very slowly, taking 20 to 40 years, and so are long-lived (Chaloupka and Musick 1997). In the Caribbean and Western Atlantic, Hawksbills may mature in 20 or more years (Boulon 1983, 1994; Diez and van Dam 2002; Krueger in litt. 2006). Age to maturity in the Indo-Pacific requires a minimum of 30-35 years (Limpus 1992; Limpus and Miller 2000; Mortimer et al. 2002, 2003). In northeastern Australia, first breeding is estimated to occur at 31-36 years for females and 38 years for males (Limpus and Miller 2000). Data on reproductive longevity in Hawksbills are limited, but becoming available with increasing numbers of intensively monitored, long-term projects on protected beaches. During the last decade, numerous individual Caribbean Hawksbills have been recorded actively nesting over a period of 14-22 years (C.E. Diez in litt. 2006, Z. Hillis-Starr in litt. 2006, Parrish and Goodman 2006). In the Indo-Pacific Mortimer and Bresson (1999) and Limpus (1992) have reported nesting over 17-20 years, comparable to other Chelonid turtles which range from 20 to 30 years (Carr et al. 1978, FitzSimmons et al. 1995). Given estimated ages to maturity of 25 years in the Caribbean and 35 years in the Indo-Pacific, with half of reproductive longevity estimated at 10 years, a conservative generation length of 35 years (25 + 10 years) is calculated for the Caribbean and Western Atlantic, and 45 years (35 + 10 years) in the Indo-Pacific. In analyzing the data, declines over three generations are therefore measured for up to 105 years in the Caribbean and Western Atlantic and up to 135 years in the Indo-Pacific. In fact, generation length may well have been longer in the days when population density was higher (Bjorndal et al. 2000). Sea turtle population trends are best diagnosed using in-water abundance estimates coupled with estimates of demographic parameters such as survival and recruitment possibilities (Chaloupka and Limpus 2001, Bjorndal et al. 2005). However, these data rarely exist for sea turtle populations and so most assessments are based on evaluating nesting trends, which assumes a close correlation between population trends and nesting activity (Bjorndal et al. 2005). For this assessment the size of a nesting population is defined as the average number of individual females nesting per year. In some cases, population numbers can be determined by saturation tagging of nesting females or by recording the total number of slaughtered nesters. More often, however, population estimates need to be derived from records of the total number of egg clutches laid during a season. Saturation tagging of nesting females indicates that at most sites the average female Hawksbill lays between three and five egg clutches during a single nesting season (Richardson et al. 1999, Mortimer and Bresson 1999), with indications that newly recruited females lay fewer egg clutches (Mortimer and Bresson 1999, Beggs et al. 2006), and possibly fewer clutches in the Arabian/Persian Gulf (Pilcher 1999). Following the pattern of earlier status reviews, the present assessment calculates the annual number of nesting females by dividing the total number of egg clutches recorded, by three to five to produce a bracketed population estimate. In many parts of the world, Hawksbill populations have continued to decline since the publication of the previous Red List Assessment (Meylan and Donnelly 1999). Continuing losses in southeast Asia are of particular concern. Hawksbills face multiple, severe threats. The volume of the tortoiseshell trade has diminished, yet it remains active and substantial, and the Japanese bekko industry remains intact. In 2001 the IUCN Red List Standards and Petitions Subcommittee upheld the Critically Endangered listing of the Hawksbill, based on ongoing and long-term declines in excess of 80% within the time frame of three generations and ongoing exploitation (IUCN 2001b). The Subcommittee review cited “convincing evidence of reductions in excess of 80% over the last three generations at many, if not most of the important breeding sites throughout the global range of the species”. Not surprisingly, those declines reflect the intensity of the tortoiseshell trade in the 20th Century. Although some relatively large populations still exist, especially in Australia, this is not inconsistent with long-term global or even regional population reduction over three generations (a point noted by the Subcommittee). Unlike previous reviews of the status of the Hawksbill, the present assessment is quantitative and provides a numerical basis for the global listing of the species as Critically Endangered. The 2001 findings of the IUCN Red List Standards and Petitions Subcommittee are as valid today as they were six years ago. The current assessment clearly demonstrates the importance of protection in both terrestrial and marine habitats. With protection, some populations have stabilized, and others are now increasing, most notably in the Caribbean. The increases documented in the Caribbean coincide with dramatic reductions in take on the foraging grounds of Cuba which have, in effect, spared tens of thousands of large Hawksbills since the early 1990s. Such increases provide hope for the future, but unfortunately are still the exception rather than the rule. Similar results are needed elsewhere. The most important threats to Hawksbill turtles, described here, are dealt with in greater detail in the section entitled Regional Overview (see Supplementary Material). Tortoiseshell Trade. Recent and historical tortoiseshell trade statistics are key to understanding the enormous and enduring effect that trade has had on Hawksbill populations around the world (see IND-Table 5, PAC-Table 5 and ATL-Table 7 in Supplementary Material). Within the last 100 years, millions of Hawksbills have been killed for the tortoiseshell markets of Europe, the United States and Asia. The global plight of the Hawksbill in the latter half of the 20th Century has been recognized by the inclusion of the species in the most threatened category of IUCN’s Red List since 1968 and the listing of all Hawksbill populations on Appendix I of CITES, the Convention on International Trade in Endangered Species, since 1977. Nevertheless, trade continued at exceptionally high levels for years as major trading countries acceded to CITES and Japan, the world’s largest consumer of bekko (tortoiseshell), continued to import shell under a CITES reservation (exception) until 1993. During the period 1950-1992, Japan’s bekko imports were the equivalent of 1,329,044 large turtles (1,408,787 kg). Conservatively estimating that 30% of the turtles taken for the trade were nesting females, nearly 400,000 adult female Hawksbills were killed for the Japanese market in those years, a time frame that approximates a single Hawksbill generation. Significant domestic trade in Hawksbill products continues to be a major problem in many countries and, despite international and domestic prohibitions and the lessening of the volume in the last decade, trade remains an ongoing and pervasive threat in the Americas and southeast Asia (Fleming 2001, Chacón 2002, TRAFFIC Southeast Asia 2004, van Dijk and Shepherd 2004, Brautigam and Eckert 2006). Egg Collection. Intense levels of egg exploitation continue in many parts of the world (see IND-Table 5 and ATL-Table 7 in Supplementary Material), especially southeast Asia, where it approaches 100% in many areas (see PAC-Tables 4 and 5 in Supplementary Material). Slaughter for Meat. Adult and juvenile Hawksbills are still killed for meat in many areas (see IND-Table 5, PAC-Table 5 and ATL-Table 7 in Supplementary Material). In some places the meat is used by fishermen as shark bait (J. Mortimer unpubl. data, C. Lagueux, unpubl. data). Fishermen who target lobster and reef fish will commonly take whatever hawksbills they encounter (Carr and Meylan 1980). Destruction of Nesting Habitat. Tropical coastlines are rapidly being developed for tourism which often leads to destruction of nesting habitat (see IND-Table 5, PAC-Table 5 and ATL-Table 7 in Supplementary Material). Because Hawksbills prefer to nest under vegetation they are particularly impacted by beach-front development and clearing of dune vegetation. Daytime nesting Hawksbills in the Western Indian Ocean are particular sensitive to disturbance from human activity on the coast and in nearshore waters (Mortimer 2004). In other parts of the world such as the Middle East and Western Australia gas and oil refineries seriously disrupt nesting habitat (see IND-Table 5 and PAC-Table 5 in Supplementary Material). Destruction of Foraging Habitat. Hawksbills are typically associated with coral reefs, which are among the world’s most endangered marine ecosystems (Wilkinson 2000). Climate change has led to massive coral bleaching events with permanent consequences for local habitats (Sheppard 2006) (see IND-Table 5, PAC-Table 5 and ATL-Table 7 in Supplementary Material). Hybridisation of Hawksbills with Other Species. At certain sites where Hawksbill numbers are particularly low, they regularly hybridise with other species of sea turtles (see ATL-Table 7 in Supplementary Material). Entanglement and Ingestion of Marine Debris - including Fishing Gear. Hawkbills are particularly susceptible to entanglement in gill nets (see IND-Table 5, PAC-Table 5 and ATL-Table 7 in Supplementary Material) and capture on fishing hooks (Mortimer 1998). Juvenile Hawksbills comprised 47% of all turtles entangled in derelict fishing nets and other debris in northern Australian waters (Kiessling 2003, White 2004). Ingestion of marine debris by Hawksbills is also significant (White 2004). Oil Pollution. There is evidence oil pollution has a greater impact on Hawksbills than on other species of turtle (Meylan and Redlow 2006). In some parts of the world (especially the Middle East) oil pollution is a major problem (see IND-Table 5 in Supplementary Material). Tortoiseshell, the beautiful scutes of the carapace and plastron of the Hawksbill turtle, has been prized since ancient times. Surrounded by legend, tortoiseshell has been described as “one of the romantic articles of commerce, not only because of where it comes from, but because of the creatures from which it is obtained and the people engaged in the trade” (quoted in Parsons 1972). Jewellery and other tortoiseshell objects have been unearthed from pre-dynastic graves of the Nubian rulers of Egypt and excavated from the ruins of the Han Empire which ruled China in pre-Christian times. Over 2,000 years ago Julius Caesar considered the warehouses of Alexandria brimming with tortoiseshell to be the chief spoil of his triumph. By the early years of the 9th Century, caravans of Arab traders carried rhinoceros horn, ivory, and tortoiseshell throughout the Indian Ocean. For the next 1,000 years, the tortoiseshell trade flourished (Parsons 1972). Around 1700, during the Edo Period, the bekko (tortoiseshell) artisans of Japan established themselves at Nagasaki (Milliken and Tokunaga 1987). The tortoiseshell trade has been closely linked to European discovery, conquest, and commerce around the world. The Portuguese, Dutch, French and English played major roles in the global trade; exploitation occurred throughout the world’s tropical oceans, and especially in the East Indies (i.e., modern day India, Indo China, Indonesia, Malaysia, and Philippines). The East Indies were a major source of the shell of antiquity, and these rich waters fittingly have been called the world’s most productive seas for tortoiseshell (Parsons 1972). In the insular Pacific international trade did not develop until the mid 19th Century, but once established, it took a tremendous toll on the region’s Hawksbills. For the next 150 years, tortoiseshell was a prized commodity in the Pacific, first with the sandal-wooders and then with the whalers (McKinnon 1975). European Hawksbill fishing in the Caribbean began in the mid-17th Century and intensified throughout the 18th Century as demand increased (McClenachan et al. 2006). As they decimated local Hawksbill populations in one area after another, turtle fishermen moved from one site to the next. The plentiful Hawksbill resources of Central America were exploited for more than 100 years by traders, including Americans, who established the town of Bocas del Toro on the coast of Panama in 1826 (Parsons 1972). Turtling was still a lucrative business in Cuba in 1885 when the village of Cocodrilos on the Isle of Pines was settled by turtle fishermen who emigrated from the Cayman Islands after its Hawksbills were gone (Carrillo et al. 1999). Over the next 100 years, many tens of thousands of Hawksbills were captured in the rich foraging grounds of the Cuban shelf. Tortoiseshell trade statistics are key to understanding the enormous and enduring effect that trade has had on Hawksbill populations around the world. In the early 20th Century, tortoiseshell was imported for luxury markets in Europe, the United States and Asia as the manufacture of combs and brushes, jewellery boxes, and tortoiseshell ornaments was “an established industry in almost every civilized country” (Seale 1917). Declines in Hawksbill populations were obvious in many areas by the first part of the century, as exemplified by expressions of “wanton destruction” in the Virgin Islands (Schmidt 1916) and over exploitation in the Dutch East Indies (now Indonesia) (Dammerman 1929). Although existing records document an extensive trade in many countries, such as the 8,000 Hawksbills (8,000 kg) taken annually in the Philippines for the shell trade to Japan during World War I (Seale 1917) and 160,700 Hawksbills killed between 1918-1927 in the Dutch East Indies for export to Japan, Singapore and the Netherlands (Dammerman 1929), records for many other areas are incomplete. During the 20th century, Japan was the world’s largest importer of tortoiseshell (Milliken and Tokunaga 1987, Groombridge and Luxmoore 1989). Although data are not available for imports in the first half of the century, Japanese statistics document the import of shell equivalent to more than 1.3 million large Hawksbills from around the world between 1950-1992 and more than 575,000 stuffed juveniles from Asia between 1970-1986 (Milliken and Tokunaga 1987, Groombridge and Luxmoore 1989). Local trade in stuffed Hawksbills also flourished in the Indian Ocean, the Pacific and the Americas, especially in tourist areas. When Japanese, European, American and other Asian imports are considered along with the large quantities of tortoiseshell used locally in places like Sri Lanka and Madagascar, it is readily apparent that some millions of Hawksbills were killed for the tortoiseshell trade in the last 100 years. In 1975, in recognition of its threatened status, the Hawksbill was included on Appendices I (Atlantic population) and II (Pacific population) of CITES, the Convention on International Trade in Endangered Species of Wild Fauna and Flora, when the Convention came into force. By 1977 the entire species was moved to Appendix I to prohibit all international trade. Nevertheless, the global trade continued for a number of years, in large part driven by Japanese demand. At the end of 1992, Japanese imports ceased, but the industry continues to operate with stockpiled material. In the late 1970s more than 45 countries were involved in exporting and importing raw shell, with annual Japanese imports the equivalent of about 37,700 turtles (40,000 kg). Export and import levels remained exceptionally high until the mid-1980s as major trading nations slowly joined CITES. When they acceded to CITES in 1978, France and Italy took reservations (exceptions) to the Appendix I Hawksbill listing; these reservations were withdrawn in 1984 when they joined the EU. When Japan acceded to CITES in 1980, it also took a reservation on the Hawksbill and reduced its annual quota to the equivalent of 28,300 turtles (30,000 kg), based solely on the needs of its bekko industry. In 1985 CITES proposals by Indonesia and the Seychelles to place their Hawksbill populations on Appendix II to allow trade failed at the 5th CITES Conference of the Parties (COP 5). A similar Indonesian proposal at COP 6 in 1987 was withdrawn before the vote. A comprehensive report on the Japanese sea turtle trade by Milliken and Tokunaga in 1987 documented significant amounts of bekko trade with CITES countries. From 1980 to 1985, between 42% and 58% of all bekko imports originated in CITES countries, without proper export documents. In 1989 a detailed report commissioned by the CITES Secretariat found that Hawksbill populations were depleted or declining in 56 of 65 geopolitical units for which data were available and estimated that the annual global nesting population was a minimum of 15,000-25,000 Hawksbills. The authors concluded that the listing of the species on Appendix I was “unquestionably appropriate and must be maintained” (Groombridge and Luxmoore 1989). On 1 April 1990, Japan reduced its annual bekko quota to the equivalent of 18,870 turtles (20,000 kg,). In 1991, in an effort to avoid a U.S. embargo of its fish and fishery products, Japan agreed to further reduce its annual quota to the equivalent of 7,075 turtles (7,500 kg) by August 1991, to establish a zero quota on 1 January 1993, and to drop its Hawksbill reservation in July 1994. Japan also agreed to support the re-training of hundreds of bekko artisans. In the early 1990s, in response to the end of the Japanese trade, Cuba reduced its annual Hawksbill fishery quota from 5,000 turtles to 500. Since 1994, officials in Seychelles and Zanzibar have acquired tortoiseshell stocks from local artisans and subsequently burned them to demonstrate a commitment to ending the tortoiseshell trade (Khatib et al. 1996, Mortimer 1999). Cape Verde has shown similar commitment (Fretey et al. 2002). In 1997 and 2000, at CITES COP 10 and COP 11, Cuba proposed to sell its stockpiled tortoiseshell to Japan, and also proposed a continuation of the international trade in tortoiseshell taken from the 500 Hawksbills still captured each year. All these proposals failed. In response to regional disagreement generated by Cuban interest in moving Caribbean Hawksbills from Appendix I to II, the CITES Secretariat convened two regional Hawksbill dialogues in 2001 and 2002. The Dialogues encouraged regional cooperation by helping to establish Hawksbill priorities. As a result, resources for research, management and conservation have been generated. Although the tortoiseshell trade continues to threaten Hawksbills in numerous places, overall volume is substantially reduced. Thirty years after CITES came into force, the ban on international trade demonstrates its value over time in protecting Hawksbills. Above all, nesting increases in the Caribbean coincide with the enormous reduction in Hhawksbill fishing in Cuban waters. In June 2007, Cuba informed CITES COP 14 that it would voluntarily institute a moratorium on its sea turtle fisheries in 2008. Although Cuba has a CITES Hawksbill reservation (exception) and reserves its right to dispose of its tortoiseshell stockpile, most nations are members of CITES and therefore cannot legally trade in tortoiseshell. Twenty years ago, in their landmark report on Japan’s sea turtle trade, Milliken and Tokunaga (1987) focused on providing estimates of the numbers of Hawksbills (and other species of sea turtles) represented by trade data so that the effect of Japanese exploitation around the world could be assessed. In particular, they cautioned that past exploitation is relevant to understanding and predicting current sea turtle population trends. Estimates of the numbers of Hawksbills involved in the tortoiseshell trade are based on conversion factors calculated for each region by Milliken and Tokunaga (1987). Globally, the average Hawksbill produces 1.06 kg of tortoiseshell; but regionally, conversions are 0.74 kg in the Indian Ocean; 0.75 kg in Asia; 0.88 kg in Oceania; and 1.34 kg in the Caribbean. A combination of factors likely accounts for these differences, including regional variation in average adult size, as well as the relative proportion of adult and immature turtles represented in the trade. Some reports indicate that in the past the average turtle produced more shell than in recent decades. Adult turtles that survive long enough will continue to grow, so it follows that the average size of nesting animals tends to decline in an over-exploited population. In other cases, once nesting populations have been destroyed, hunters may shift their focus to foraging turtles which usually include immature animals. In the absence of specific historical information documenting the size classes of animals killed, the conversions we use in the present assessment are based on estimates provided by Milliken and Tokunaga. Based on the trade through 1992 (when legal Japanese imports ceased), the following information reveals the extent of the Japanese exploitation of global Hawksbill populations and the percent contribution of different regions to overall imports during 1950-1992. Caribbean and Latin America (44.2%): 29 countries provided the shell of 460,220 turtles (616,695 kg). Exports from Panama and Cuba were the equivalent of 152,070 and 106,948 turtles (203,774 kg and 170,047 kg, respectively), making them the most important sources of bekko in the world for Japan. Panama hosted the region’s largest nesting Hawksbill assemblages until the latter part of the 20th Century. After 1961, Hawksbills in the Cuban trade were captured only at sea, but comprised adult and large immature animals. Asia (20.8%): nine countries provided the shell of 387,020 turtles (290,265 kg). Exports from Indonesia were the equivalent of 155,654 turtles (116,741 kg), making it the most important source in the region and the third largest global supplier to Japan. Much of the shell exported from Singapore to Japan was probably of Indonesian origin (118,535 turtles, 88,901 kg). Asia was nearly the sole source of Japan’s stuffed juvenile Hawksbill imports, as discussed below. North America (15.1%): the United States provided Japan with the shell of 199,490 turtles (211,463 kg) in two very large shipments, 142,241 kg in 1951 and 68,402 in 1954. The countries of origin are unknown, but in all likelihood some quantity originated in U.S. Caribbean and Pacific territories. Indian Ocean and East Africa (8.7%): 15 countries provided the shell of 164,828 turtles (121,973 kg). Kenya and Tanzania, regional collection points, were the major exporters. Countries in the northwestern Indian Ocean are notably absent from Japanese import statistics. As a non-CITES country, Maldives figured prominently in the trade after 1984 despite its national legislation protecting Hawksbills. Japanese imports therefore were in contravention of CITES Conf. Res. 4.25, which requires a nation with a reservation to treat an Appendix I species as Appendix II, with valid export documents from the country of origin. Oceania (5.8%): six countries provided the shell of 92,124 turtles (81,069 kg). A significant proportion of this trade is attributed to Australia until 1977 (29,109 turtles; 25,616 kg). Solomon Islands and Fiji were also important suppliers, especially in the final years of trading, with 40,982 and 14,490 turtles (36,064 and 12,751 kg, respectively). Fiji banned all tortoiseshell exports in January 1991 (Daly, 1991) but domestic tourist trade in Hawksbill curios and whole carapaces continues (see PAC-Table 5 in Supplementary Material). 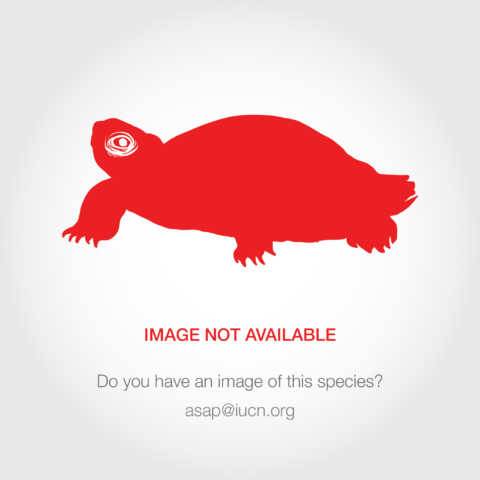 Europe and West Africa (5.4%): 10 countries provided the shell of 70,560 turtles (74,793 kg). The Netherlands was the largest exporter with the equivalent of 44,775 turtles (47,461 kg), but the source of this shell is unknown. In the 1970s, small lacquered Hawksbills became popular in Japan as symbols of long life. From 1970-1986 Japan imported 576,702 juvenile Hawksbills, mostly from Indonesia and Singapore but also from Taiwan, Province of China (32,075), the Ryukyus (13,438), Philippines (8698), Viet Nam (1195), Hong Kong (3549), and small quantities from a handful of other nations. Japan subsequently prohibited the trade, but continued to allow dealers to sell stocks acquired before July 1994. In December 1999, the dealers reported that they had a total of 135 stuffed sea turtles (TRAFFIC East Asia-Japan 2000). Numerous irregularities in bekko imports occurred in the final years of Japan’s trade under its CITES reservation. These included imports of shell from non-CITES countries that did not legally allow export of shell, as well as imports from countries known to have had too few turtles to supply the shell attributed to them. Based on these data, Japanese bekko imports from 11 of the 14 countries reported by the dealers in 1989 were illegal. The bekko stockpile in Japan includes raw shell and finished products. After Japan banned all imports in January 1993, annual Japanese domestic sales from stockpiled supplies remained high. Between July 1995 and July 1998 the stockpile was reduced from 188.4 to 102.73 tonnes (TRAFFIC East Asia-Japan 2000). Information on subsequent annual sales and use is not available, but supplies would now be exhausted if utilization had continued at 28 tonnes a year after July 1998. Today, however, the bekko industry is intact, and Japanese consumer demand remains high. In January 2000, the valuable raw shell from abdominal plates ranged in price from JPY 30,000 per kg to JPY 150,000 per kg (US $ 294-$1470 at that time) (TRAFFIC East Asia-Japan 2000). Significant domestic trade in Hawksbill products is a major problem in many countries and, despite prohibitions on international trade and a reduction in its volume in the last decade, international and domestic trade remains an ongoing and pervasive threat in the Americas, Asia, and parts of Africa (Fleming 2001, Chacon 2002, TRAFFIC Southeast Asia 2004, van Dijk and Shepherd 2004, Brautigam and Eckert 2006, Reuter and Allan 2006). Some Japanese dealers have continued to import shell illegally as evidenced by numerous bekko shipments intercepted en route to or in Japan since the ban took effect (TRAFFIC East Asia-Japan 2000) and ongoing underground trade in southeast Asia to Japan and other destinations (van Dijk and Shepherd 2004, TRAFFIC Southeast Asia 2004). More than a decade after the Japanese prohibition on bekko imports took effect, van Dijk and Shepherd (2004) reported the interest of the Japan Bekko Association in acquiring Indonesia’s remaining stockpiles of bekko. Although the volume of trade in Indonesia diminished significantly between 1991 and 2001, it is still substantial. The collection of tortoiseshell still occurs in numerous places, with most of the trade appearing to be disorganized and underground. Western Sumatra, Nias, and Papua are areas where significant exploitation and trade are known or suspected (van Dijk and Shepherd 2004). Those familiar with the trade warn that Indonesian stockpiles should be seized “as any indication of resumption of international trade of bekko could lead to requests from Indonesian traders to be allowed to sell their stockpiles” (van Dijk and Shepherd 2004). Surveys in Viet Nam in 2002 revealed an active international trade in tortoiseshell that had increased since 1999. Shell was purchased by tourists and foreigners buying in bulk for export to Hong Kong, Japan, South Korea, Taiwan (Province of China), Thailand, China and Asian communities in North America and Europe. Viet Nam subsequently instituted full protection for the Hawksbill (van Dijk and Shepherd 2004, TRAFFIC East Asia 2004). In recent reviews of the Lesser Antilles, Dominican Republic, Central America, Colombia and Venezuela, researchers provided evidence of extensive clandestine trade in sea turtles, including Hawksbills. Management and law enforcement are inadequate throughout the region (Brautigam and Eckert 2006, Reuter and Allan 2006). On 1 February 2007, the Kyodo News of Japan reported that Cuba would not seek to re-open the international tortoiseshell trade at the upcoming CITES meeting and noted Japanese disappointment given the long term support provided for the bekko industry. During 1991-2006, the Japanese government spent 735 million yen (US $6M) for research on Hawksbill resources and 140 million yen (US $1.1M) for projects to resume international trade, including trade with Cuba. The article also reported that the Ministry of Economy, Trade and Industry will support the bekko industry for another five years.